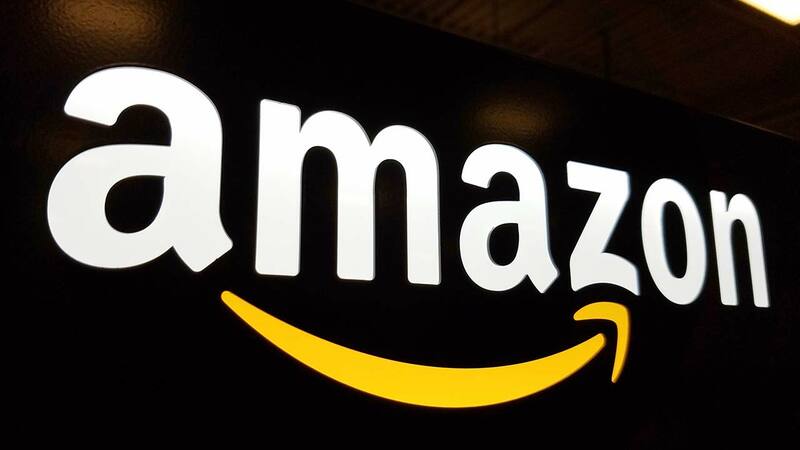 NEW YORK (KFSN) -- Amazon narrowed its search for a second headquarters city Thursday to 20 locations, concentrated mostly in the East and the Midwest. Toronto made the list as well, as the company kept its international options open. The online retailing giant said that after sorting through 238 proposals, the potential locations still include tech-strong places such as Boston and New York. Other contenders: Washington, D.C.; Chicago; Indianapolis; Columbus, Ohio; and Los Angeles, the only West Coast city to make the list. Among those that didn't make the cut were Detroit, a disappointment for those excited about progress since the city came out of bankruptcy, and Memphis, Tennessee, where Mayor Jim Strickland said the city gave it its "best shot." "Getting from 238 to 20 was very tough," said Holly Sullivan, who oversees Amazon's public policy. "All the proposals showed tremendous enthusiasm and creativity." The Seattle-based company's announcement last fall that it was looking for a second home touched off a fierce competition among states and cities looking to lure Amazon and its promise of 50,000 jobs and construction spending of more than $5 billion. Both Texas and Pennsylvania had two cities that made the cut: Austin and Dallas, and Philadelphia and Pittsburgh. In the South, Miami and Atlanta are being considered. Officials in cities that made the shortlist took the opportunity to further tout their cities, with Philadelphia Mayor Jim Kenney noting "all that Philadelphia has to offer" and officials in Allegheny County, including Pittsburgh's Mayor William Peduto, citing the region's "world-class talent pool" and other advantages. The other contenders: Denver; Montgomery County, Maryland; Nashville, Tennessee; Newark, New Jersey; Northern Virginia; and Raleigh, North Carolina. Mayor Lee Brand released the following statement on the news that the City of Fresno did not make the list of 20 finalists for Amazon's second headquarters, "We always knew it was a long shot, but the nation took notice of Fresno's unique HQ2 bid and we're already seeing new interest from a number of major companies. Between our 10-year economic development plan and our new Business Friendly Fresno 2.0! Initiative, Fresno's future looks bright as it ever has." Amazon said it will make a final selection sometime this year. "It's a long list, for a shortlist," said Jed Kolko, chief economist at job site Indeed. He said Amazon may use the list to pit the locations against each other and get better tax breaks or incentives. Two metro areas, New York and Washington, have more than one location that made the list, increasing competition there, he said. "It's hard to say whether all these places are in play or Amazon wanted to encourage continued competition," Kolko said. Amazon did not immediately respond to a request for comment about whether locations would be able to change their proposals or offer better incentives, but said in a statement that it would "work with each of the candidate locations to dive deeper into their proposals." State and local governments played up the amenities they think make their locations the best choice for Amazon's second headquarters. Some pulled off stunts to stand out, such as New York, which lit the Empire State Building in Amazon orange. Some stunts didn't work: Tucson, Arizona, which sent a 21-foot cactus to Seattle, did not make the list. Neither did Birmingham, Alabama, which installed giant replicas of Amazon's Dash buttons. The company had stipulated that it wanted to be near a metropolitan area with more than 1 million people; be able to attract top technical talent; be within 45 minutes of an international airport; have direct access to mass transit; and be able to expand the headquarters to as much as 8 million square feet in the next decade. But Amazon also made it very clear it wanted tax breaks, grants and any other incentives. Some state and local governments have made public the details of the financial incentives they are dangling. Boston's offer includes $75 million for affordable housing for Amazon employees and others. Before he left office Tuesday, Republican Gov. Chris Christie approved a measure to allow New Jersey to offer up to $5 billion to Amazon. Newark also proposes to give Amazon $2 billion in tax breaks. But many of the state and local governments competing for the headquarters have refused to disclose the tax breaks or other financial incentives they offered. Of the 20 finalists, 13, including New York, Chicago and Miami, declined requests from The Associated Press to release their applications. Several said they don't want their competitors to know what they're offering, a stance that open-government advocates criticized. The extra space will help the rapidly growing company, which had nearly 542,000 employees at the end of September, a 77 percent jump from the year before. Some of that growth came from Amazon's nearly $14 billion acquisition last year of natural foods grocer Whole Foods and its 89,000 employees.